WinSleep Monitor by MollieSoft 1.2.9.0 Free Download - Shows WinSleep programs running on any number of remote computers. &gt; WinSleep Monitor by MollieSoft is the remote viewer for WinSleep. 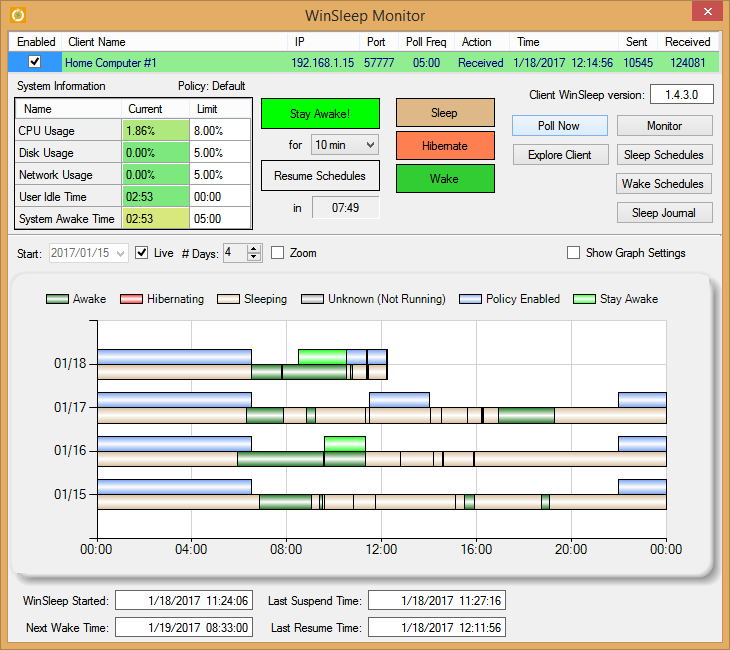 &gt; Shows WinSleep programs running on any number of remote computers, including timeline graphs and sleep journals. &gt; Edit Sleep/Wake schedules remotely. &gt; Connects to WinSleep clients by IP address or computer name. &gt; Connection is encrypted and secure: WinSleep authorizes the attempted connection by monitor IP address, monitor computer name, or by password. &gt; See your WinSleep from anywhere in the world! Statement: First, please download the orginal installation package by clicking the download link. Of course you may also download it from the publisher's website. Using WinSleep Monitor by MollieSoft crack, key, patch, serial number, registration code, keygen is illegal. The download file hosted at publisher website. We do not provide any download link points to Rapidshare, Hotfile, Depositfiles, Mediafire, Filefactory, etc. or obtained from file sharing programs such as Limewire, Kazaa, Imesh, Ares, BearShare, BitTorrent, WinMX etc. Software piracy is theft. If you like WinSleep Monitor by MollieSoft please buy it.